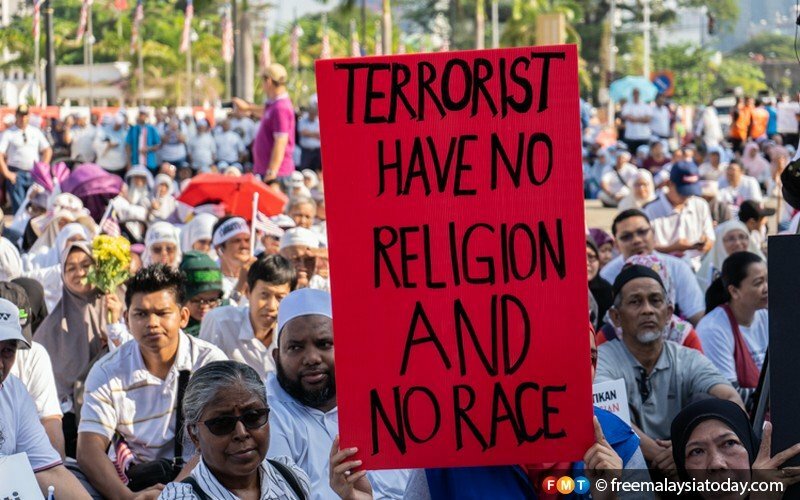 People hold up posters rejecting extremism at the Solidarity for Peace rally. 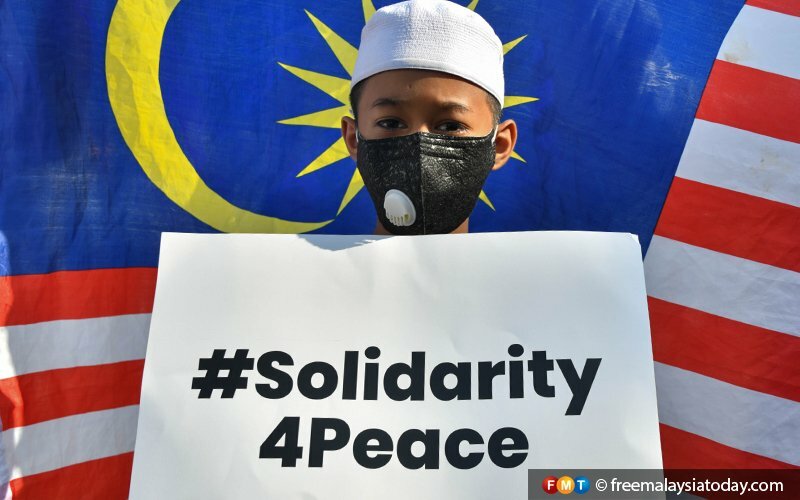 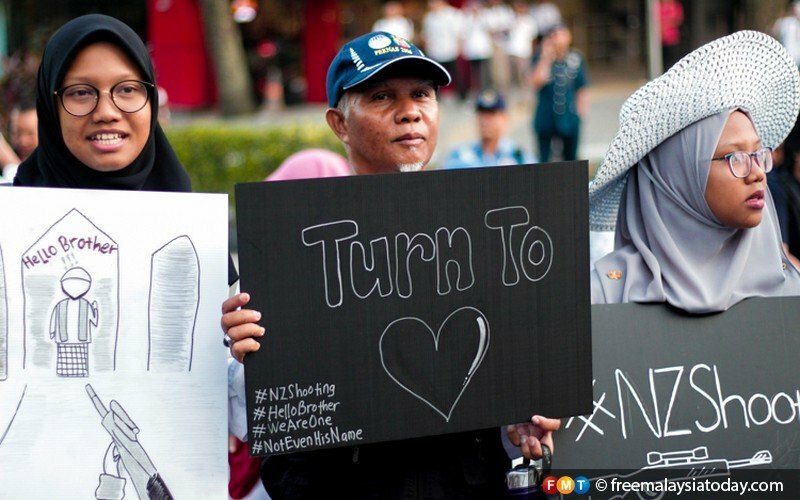 Malaysians from all walks of life attend the Solidarity for Peace rally in Kuala Lumpur on March 23, 2019. 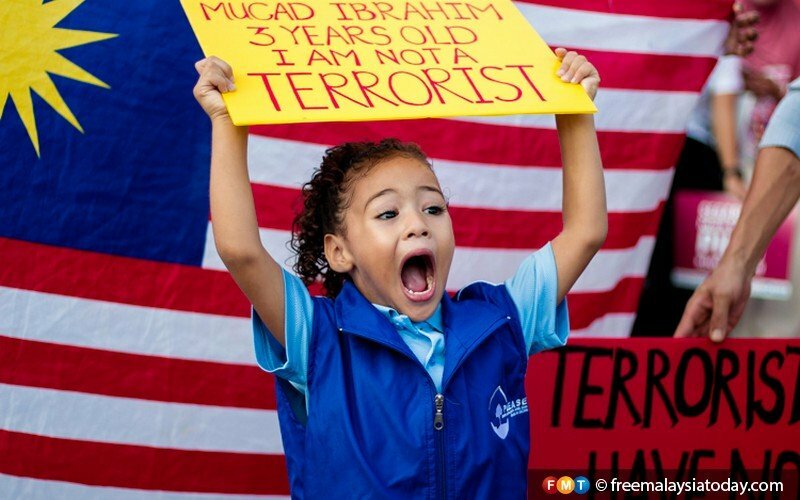 A child waves a poster at the Solidarity for Peace rally. 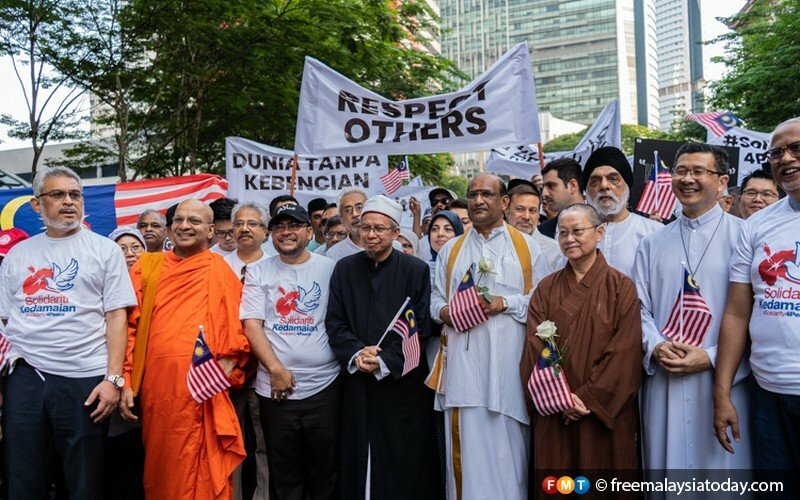 Government and religious leaders in a show of unity at the Solidarity for Peace rally. 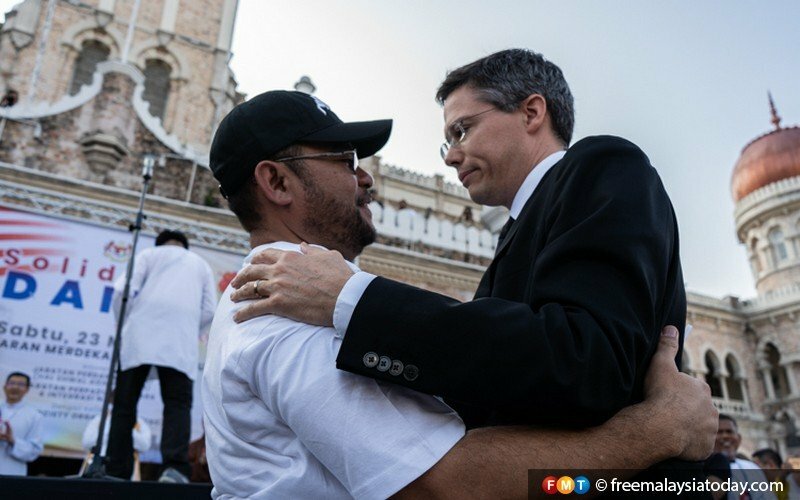 New Zealand High Commissioner to Malaysia Hunter Nottage embraces Minister in the Prime Minister's Department Mujahid Yusof Rawa. 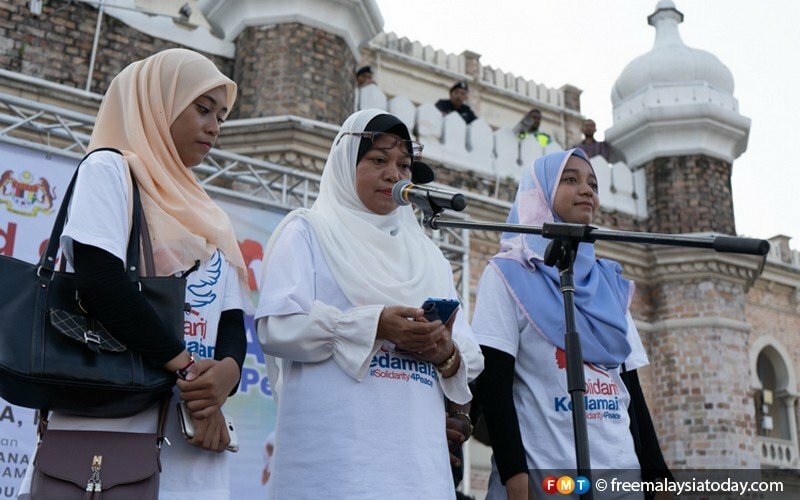 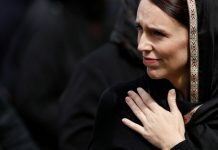 Family members of teenager Mohd Haziq Tarmizi, who was among the 50 worshippers killed in the Christchurch attacks, address the crowd at the rally. 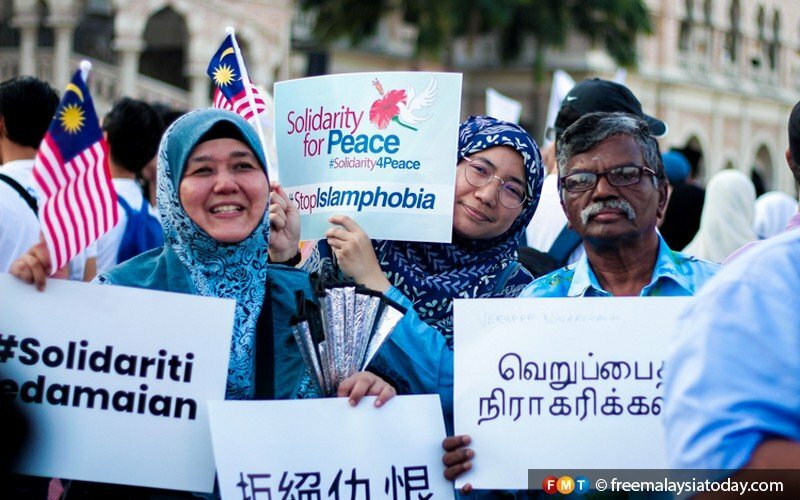 A participant holds up a poster at the Solidarity for Peace rally. 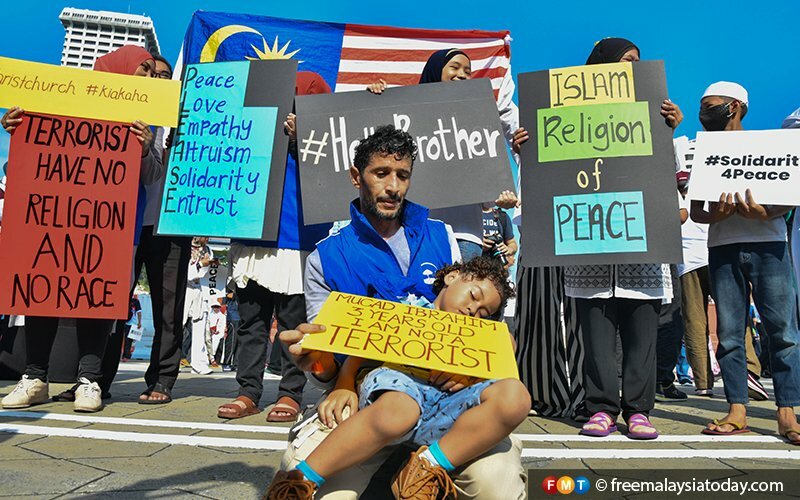 A child carries a poster rejecting extremism at the Solidarity for Peace rally. 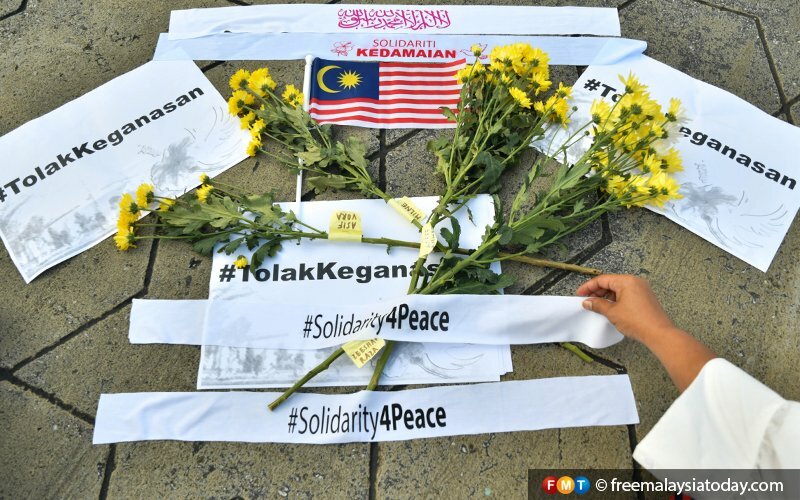 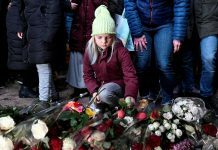 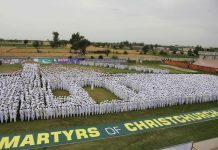 Slogans in support of peace laid on the ground together with flowers.